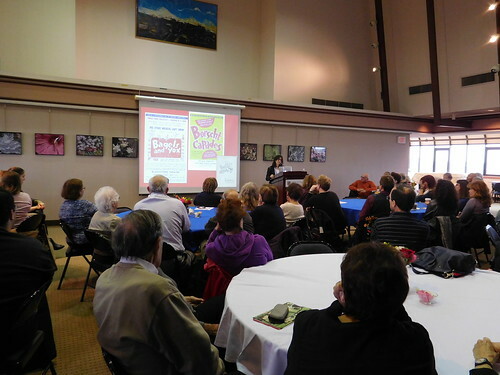 For more information on upcoming Issues in Judaism Lectures, please contact the Hofstra Cultural Center at 516-463-5669. Wednesday, May 1, 4:30-6 p.m.
Join us for a poetry reading and special tribute to Holocaust survivor Yonia Fain, internationally acclaimed artist, poet, author, and Hofstra University associate professor emeritus, who passed away at the age of 100 in December 2013. Through imagery, both visual and written, Fain’s lifelong mission was to express powerful messages of survival and hope. Discussion to follow. Commemorating Holocaust Memorial Day. Presented in collaboration with the Hofstra Cultural Center. For more information and to register, please call the Hofstra University Museum of Art at 516-463-5672. Monday, October 8, 12:50 p.m. This lecture discusses postmemory, the transmission of memory and trauma from generation to generation. The children and grandchildren of survivors have a living connection to the memories that were passed on to them. Survivors’ memories become their memories, and to some degree they are held captive to the past. They are caught between absence and presence, between their elders’ pasts and the lives they are living. As the second, third, and fourth generations begin to dominate current publishing about the Holocaust memories transmitted to them, these issues are increasingly important and have individual, community, and cultural implications. Author Renée Kann Silver describes her experience in Europe as a Jewish child during World War II in And Yet, I Still Loved France: Memoir of a European Childhood. The lecture will begin with a brief setting both geographically and historically surrounding her early childhood and leading up to the experience of war in France. She will discuss experiencing the brutal anti-Semitism of the French Vichy government, miraculously finding safety in the village of Le Chambon sur Lignon and her flight to Switzerland, and why she still loves France. Hofstra Cultural Center. In collaboration with Hofstra Hillel: The Center for Jewish Life on Campus. 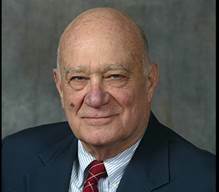 Monday, March 12, 4:30 p.m.
Perspectives on the American Experiment: "Melting Pot" or "Mosaic"
The late Leo Hershkowitz resourcefully examined factors that enhanced the position of Jews in America, as well as those who fostered dimensions of xenophobia. Thursday, April 5, 4:30 p.m. Prejudices persisted even as the Jews, whose diversity is still seldom recognized, advanced as America's super-achieving "minority." 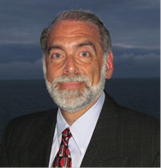 Speaker for both lectures: Michael D'Innocenzo, Distinguished Professor Emeritus, Hofstra University. Funding for these lectures has been provided in part, by the Dorothy and Elmer Kirsch Endowment Fund for the Hofstra Cultural Center. Wednesday, April 18, 4:30 p.m. 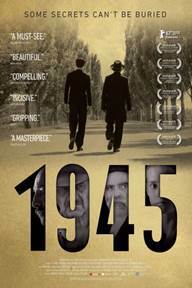 The film, set in 1945, tells the complex story of an Orthodox man and his adult son who return to a small village in Hungary. The village residents are both remorseful and suspicious, as they expect the worst. 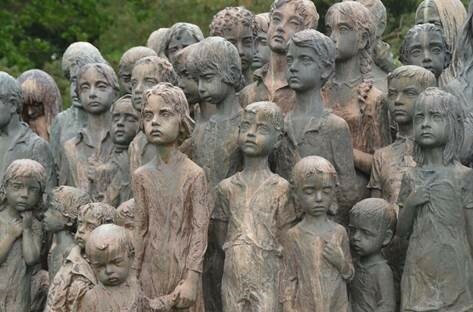 All must come to terms with the war atrocities they may have witnessed or perpetrated, as well as their own personal gain vs. the rights of the Jewish victims whose property they now possess. Directed by Ferenc Török. Based on the short story Homecoming by Gábor T. Szántó. Country of origin: Hungary. In Hungarian with English subtitles. "This beautifully shot black-and-white film, set in one day, brings to life a community ravaged by war, hate, and guilt. A must-see film." "An honest film that commits itself to portraying Hungary in this intermediate post-war period showing that fearing that which is foreign (back then Jews, today migrants) never pays off." Speaker: Professor Annette Insdorf will introduce the film and lead a discussion following the screening. Annette Insdorf is professor of film at Columbia University's School of the Arts, and moderator of the popular Reel Pieces series at Manhattan's 92nd Street Y, where she has interviewed over 200 film celebrities. She is the author of Intimations: The Cinema of Wojciech Has; Double Lives, Second Chances: The Cinema of Krzysztof Kieslowski; François Truffaut, a study of the French director's work; Philip Kaufman; and the landmark study Indelible Shadows: Film and the Holocaust (with a foreword by Elie Wiesel). Insdorf is hosting two series on FilmStruck, Indelible Shadows and Cinematic Overtures. The latter is based on her book Cinematic Overtures: How to Read Opening Scenes. Thursday, April 26, 4:30 p.m.
Cynthia Paces is department chair and professor of history at The College of New Jersey (TCNJ). 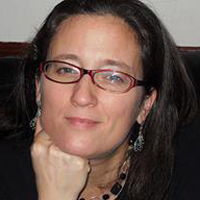 She teaches courses on modern Europe and leads TCNJ's Holocaust and Genocide Study Tour. She is the author of Prague Panoramas: National Memory and Sacred Space in the 20th Century and is currently researching commemorations of the 1942 Lidice Massacre. Historian David Fishman recounts one of the most amazing chapters of spiritual resistance in the Holocaust. A group of ghetto inmates risked their lives day in and day out for more than a year, to rescue thousands of rare Jewish books, manuscripts and documents from looting and destruction by the Germans. After World War II, the survivors dug up the cultural treasures hidden in bunkers and other places and smuggled many of them to America and Israel. 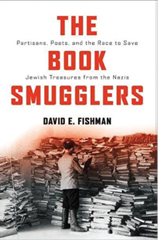 Fishman has documented this remarkable event based on Jewish, German and Soviet sources in his new book, The Book Smugglers: Partisans, Poets, and the Race to Save Jewish Treasures from the Nazis. The vast majority of our Jewish ancestors came to the United States during one of two great migrations: German Jews during the period 1820-1880 and a larger migration of Eastern European Jews between 1880 and the early 1920s. Starting with information that you know about yourself and your immediate family, our goal is to discover our ancestors’ history both from the time our family came to the United States and back in the “old country.” Nolan Altman will discuss resources available to assist in trying to find information on family members who did not come to America or information that may have been lost during the Holocaust. Topics to be discussed include naming practices, vital records, passenger manifest records, Holocaust resources, and genealogy and your computer. Funding for these lectures has been provided in, part, by the Dorothy and Elmer Kirsch Endowment Fund for the Hofstra Cultural Center. Monday, October 9, 2:55-4:20 p.m.
Dr. Adriana Brodsky, president of the Latin American Jewish Studies Association and associate professor of history at St. Mary’s College of Maryland, explores the paths taken by young Argentine Jewish women and men as they navigate these politically charged times. Youths who were active in Jewish communal institutions debated whether to participate in Argentine political youth groups. Most of them were training to eventually move to Israel, and many of these young Jews chose not to be apathetic to an existing political climate that increasingly viewed young people as agents of change. Presented in collaboration with Hofstra’s Department of Religion, Department of History, Latin American and Caribbean Studies Program, Women’s Studies Program, LGBT+ Studies Program, African Studies Program, and the Center for the Study of “Race,” Culture and Social Justice. Wednesday, March 29, 7 p.m. The mystery of the Lost Tribes of Israel, exiled by the Assyrians in the 8th century B.C., and their whereabouts, dates back centuries, and still remains a mystery today. 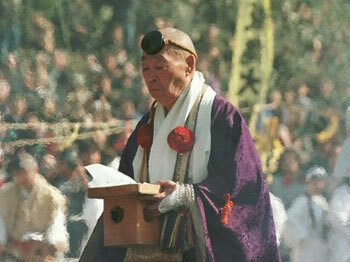 A significant group of people in Japan claim to be the descendants of the Israelites. Certain rituals are performed in Shinto shrines that resemble Jewish traditions, and there are other similar customs, ideological principles and structures. Research by Israeli rabbis and discoveries by Japanese scientists indicate that this theory might be true. We will follow the eastward route in which the exiled tribes were taken in the 8th century B.C. and again in 586 B.C., heightening the probability of them ending up in Japan. The lecture will be accompanied by ancient drawings, scripts, sketches and photos. Wednesday, April 26, 7 p.m.
Three visits by Andrée Brooks to Cuba in recent years, plus additional research that has been built upon her scholarly research concerning the Conversos of Central and South America, find a community in flux. (Conversos were Jews who had been forcibly converted to Catholicism late in 15th century Spain, but often kept their Jewish heritage alive in secret.) Later migrations brought Jews from the Ottoman Empire and Eastern Europe. 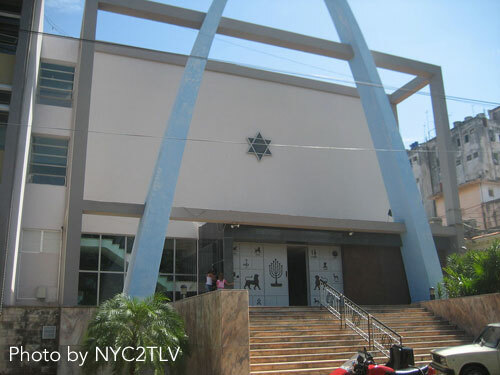 In recent months, the relaxation of restrictions, both by the Americans and the Cubans themselves, has resulted in more and more of Cuba's Jews, and descendants of Jews, coming forward to reclaim their Jewish heritage and receive delegations from Jewish groups from the United States. This lecture explores the challenges and opportunities these changes are now raising, including some historical background that focuses on the earliest Converso/Jewish arrivals from Spain — and how and why they went there. Funding for these lectures has been provided by the Dorothy and Elmer Kirsch Endowment Fund for the Hofstra Cultural Center. For tickets for these events, please contact the John Cranford Adams Playhouse Box Office at 516-463-6644, Monday-Friday, 11 a.m.-3:45 p.m.
Join us for this lecture delivered by two experts in the field who explore the networks of Sephardim of Arab-Jews through the Atlantic and Mediterranean. The speakers unveil hidden stories of intercultural encounters, struggles for identity, and religious creativity. Presented by the Hofstra Cultural Center and Jewish Studies Program in collaboration with the Hofstra Department of Religion and Hofstra Hillel: The Center for Jewish Life on Campus. Fellow, Mandel Center for Advanced Studies at the United States Holocaust Memorial Museum, Washington, D.C.
My Grandfather Would Have Shot Me is a book born of a shocking discovery for speaker Jennifer Teege. She picked up a book by chance at Hamburg's main library and discovered that her grandfather was the brutal Nazi commandant of the Plaszow concentration camp, portrayed so memorably by Ralph Fiennes in the film Schindler's List. Ms. Teege's mother was German; her father was Nigerian. 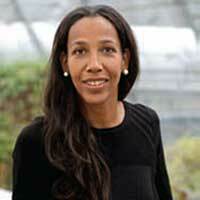 Raised in a loving home by her adopted German family, Ms. Teege struggled with depression as she coped with the trauma of rejection by her birth mother. She went to college in Israel, where she learned fluent Hebrew and earned degrees in Middle Eastern and African Studies. She later returned to Germany and now had to learn about her biological family's secret from a book; and that a monstrous man, Amon Goeth, reviled for decades as "the butcher of Plaszow," was her biological grandfather. After her emotional pilgrimage, Ms. Teege says, "I'm no longer a prisoner of the past. I know now that I am not to blame, and the guilt no longer weighs heavily on my shoulders. There is no Nazi gene: We can decide for ourselves who and what we want to be." For more information on these events, please the Hofstra Cultural Center, Monday-Friday at 516-463-5669. Monday, March 21, 7 p.m. This film tells the story of a Roman Jewish community that, two and a half weeks into the German occupation of Rome, was ordered by SS Colonel Herbert Kappler to produce 50 kilos of gold within 36 hours, or he would deport 200 Jewish heads of family. Over a feverish day and a half, this already poor, working class community managed to come up with the 50 kilos of gold in order to save one another. Oro Macht Frei reveals the sad delusion of a community that – believing they had paid their ransom and would be left alone – did not go into hiding. Monday, April 18, 7 p.m.
A spate of new books and scholarship has re-opened the debate on the role of Pope Pius XII and the Vatican as the Holocaust unfolded in Italy. 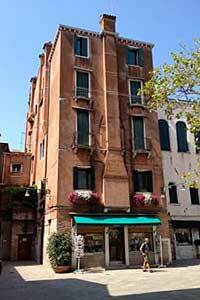 This lecture examines the historical context of anti-Semitism in Italy, the rise of fascism, internment camps, the anti-fascist Jewish Resistance and the Holocaust in the shadow of the Vatican. Speaker: Elissa Bemporad, Jerry and William Ungar Chair in East European Jewish History and the Holocaust Associate Professor of History at Queens College of the City University of New York/CUNY; NEH Senior Fellow at the Center for Jewish History; Author, Becoming Soviet Jews: The Bolshevik Experiment in Minsk. For centuries Poland represented a vibrant center of Jewish life. This world was destroyed by the Holocaust. Today, Polish Jewry is experiencing an unexpected revival thanks to the work of dedicated members of young pluralistic Jewish communities, as well as non-Jewish allies and the support of the Polish government. There is a major shift occurring in how we understand the history of Polish Jewry. Instead of focusing solely on the destruction, today’s students will understand the full history of this important community. Symposium participants have the opportunity to hear from individuals, educators and scholars working in Poland to overcome all the odds and re-establish Jewish life. The discussions and lectures will be designed to engage participants on different educational levels. 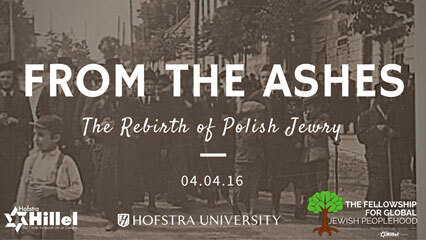 Tuesday, April 12, 8 p.m.
For more information, and to register, please contact Hofstra Hillel at 516-463-6922 or visit Polish Conference Registration. 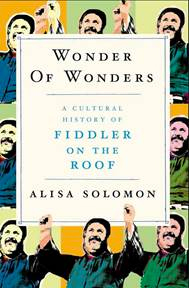 Sunday, October 25, 11:30 a.m.
Alisa Solomon, author of Wonder of Wonders: A Cultural History of Fiddler on the Roof, traces how and why the story of Tevye the milkman — the creation of the great Yiddish writer Sholem Aleichem — was reborn as a blockbuster musical and a cultural touchstone. She discusses how the songs have been incorporated into sacred ceremonies and hip-hop hits and how the story has inspired religious conversion and secular satire. It has been lauded as one of the most finely wrought works for the Broadway stage and treated as an authentic historical document. Since its blockbuster debut in 1964, Fiddler on the Roof has been seized for an astonishing range of cultural purposes. For more information and to purchase tickets, please contact the Hofstra Cultural Center at 516-463-5669. Tickets for performances of Fiddler on the Roof are sold separately. 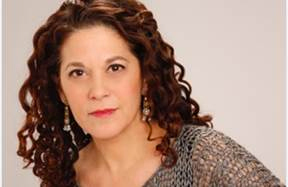 Box Office at 516-463-6644, Monday-Friday, 11 a.m.-3:45 p.m.
Tuesday, December 1, 4:30 p.m.
Singer, director and cantor Lynn Torgove opens doors to a deeper understanding of the world of Holocaust music in her presentation, which draws on women's experiences at the Ravensbrück Concentration Camp. Torgove presents her research on seven women musicians in the camp and performs selections from an original cabaret program she conceived and directed in 2010-11, which was based on these women's lives. For more information and to purchase tickets, please contact the Hofstra Cultural Center at 516-463-5669. For more information please contact the Hofstra Cultural Center at (516) 463-5669. For more information on Spring 2015 lectures, please contact the Hofstra Cultural Center at 516-463-5669. Speaker: Rabbi Marvin Tokayer is a renowned scholar and lecturer on the remote Jewish communities of the world. He served for many years as the only English-speaking, university trained Rabbi in the Far East, officiating at Jewish communities from India to Japan. He is the author of over 20 books, in Japanese, on Judaica and Japan including the well received The Fugu Plan, the untold story of the Japanese and the Jews during World War II, which became an award – winning PBS documentary on Sugihara (Japan's unsung Schindler), describing the heroic escape of European Jews to Japan and China during the Holocaust. His most recent book, Pepper, Silk & Ivory, containing amazing stories about Jews and the Far East, was published recently and will be a featured PBS documentary. Student under 18 receives one free ticket. On Sale beginning September 24. Supported in part by the Dorothy and Elmer Kirsch Endowment for the Hofstra Cultural Center. Office at 516-463-6644, Monday-Friday, 11 a.m.-3:45 p.m. Please note: The Jewish Diaspora in the Far East on April 3 and April 7, which were scheduled to take place in the Cultural Center Theater have been postponed til the fall semester due to scheduling conflicts. Renowned lecturer on the remote Jewish communities of the world, Rabbi Marvin Tokayer, will discuss the The Jewish Diaspora in the Far East. He is author of The Fugu Plan and 40 other books. Historical consultant for the award-winning PBS documentary, Sugihara: Conspiracy of Kindness (about Japan’s “unsung Schindler”). Issues in Judaism Lecture Series is presented by the Hofstra Cultural Center and Hofstra Hillel: The Center for Jewish Life on Campus. Please note: this event, Middle East Update with Michael Tuchfeld has been canceled due to scheduling conflicts. 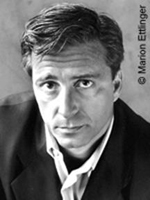 Political Analyst and Columnist, Michael Tuchfeld, will share his insights on the Middle East. He is a columnist for Makor Rishon magazine, and host for Radio Galey Israel. He is former Parliamentary Correspondent and News Editor at TV2, The Knesset Channel and IBA (Israel Broadcasting Authority). The Center for Jewish Life on Campus. Thursday, October 17, 7 p.m.
Thursday, November 14, 7 p.m.
Tickets: On sale beginning September 17. Yale Strom and Hot Pstromi: Hot and Spicy (Hays un Scharf)! Tickets: On Sale beginning September 24.